Arches National Park, near central Utah’s eastern border with Colorado, is a geological wonder enveloping you in a sea of orange. The park has more than 75k acres of rocks, canyons, petrified dunes, and, of course, sandstone as far as the eyes can see. It’s hard to understand how the forces of nature eroded away the rock and randomly formed more than 2000 arches. As you stand there gazing at the orange, arid landscape, it seems more likely the arches have been perfectly positioned with the intention of taking your breath away. 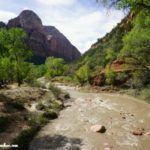 Unless you’re hoping to explore the backcountry, it’s entirely possible to see and do much of the park within a full day. Pack enough food and water for the day, as the park has just 2 places to refill your water supply and no available food. Set off early to catch the sunrise (or just after if you need a few extra ZZZs) and get a head start on the day’s many visitors. Dazzling views everywhere you look! 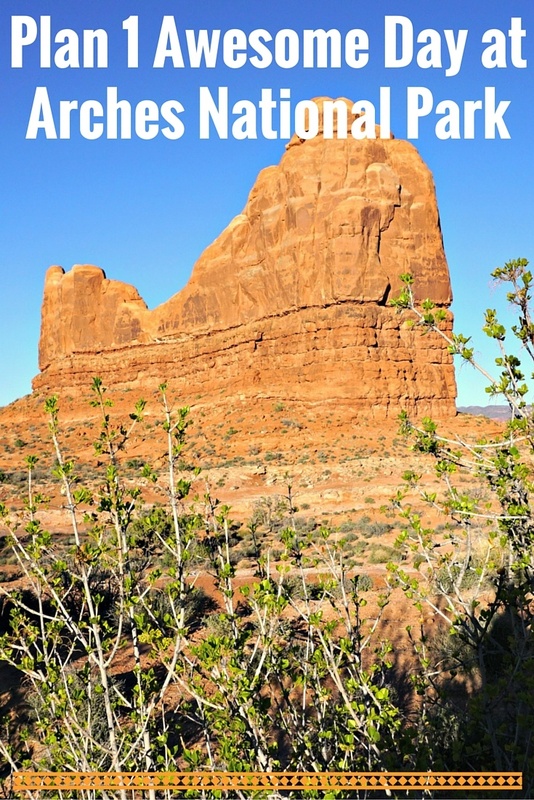 In this Arches National Park travel guide, the park’s main attractions are laid out in a Choose Your Own Adventure-style based on the time hikes in the park will take. Mix and match what Arches has to offer however you’d like to enjoy the park. Whatever you choose, you can bet on a happy ending! 1. A paved scenic drive stretches from the park’s Visitor Center to its northern end at Devils Garden. There are frequent pull-offs for scenic overlooks on both sides of the road. 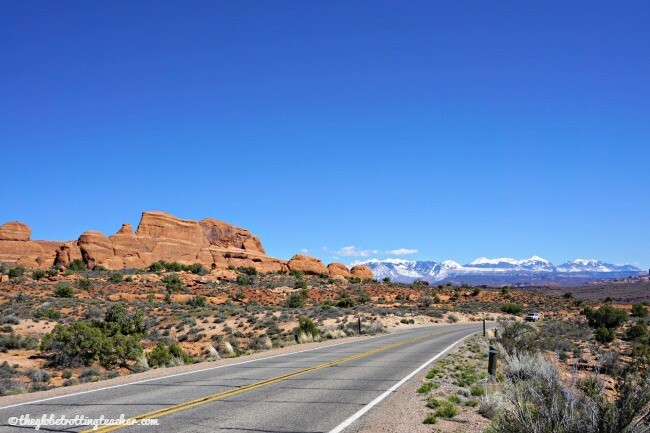 From the main scenic drive, a couple turnoffs direct you onto smaller roads to reach places like Delicate Arch and the Windows section of the park. As you travel along, you’ll be able to stop at all of the scenic overlooks for endless photo opportunities! Just try to keep your eyes on the road! Don’t necessarily drive the road from start to finish. Instead, allow for this time in your day. As you head to the park’s sights, you should stop to enjoy the natural beauty surrounding you along the drive’s numerous scenic overlooks. 2-3 Hours Each- Choose 1-2 of the Hikes Below. 1. Delicate Arch is the famous arch seen on the Utah State license plate and is arguably the most popular arch in Arches National Park. The trail is 3 miles round trip and is listed as strenuous in the park’s guide. 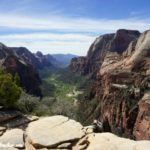 Compared to other similarly-listed hikes, like Angel’s Landing at Zion National Park, I thought the hike to Delicate Arch was more moderate in difficulty. Still, you’ll need to steadily climb upward and walk along a somewhat narrow ledge for the last bit before reaching Delicate Arch. Can you see me posing with Delicate Arch? TIP: Delicate Arch is busiest in the late afternoon because of the angle of the light and the sunset views. We happily hiked it first thing in the morning, though, to avoid crowds. 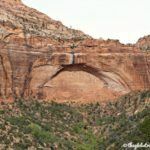 A Park Ranger and other travel bloggers warned us about not being able to get a photo of just the arch because so many people hike the trail in the afternoon. You choose. If you want fewer people, hike it first thing. If you want the best light, wait until later in the afternoon. If this hike isn’t for you, stop at the Delicate Arch scenic overlook to catch a somewhat distant glimpse of the famous arch. 2. 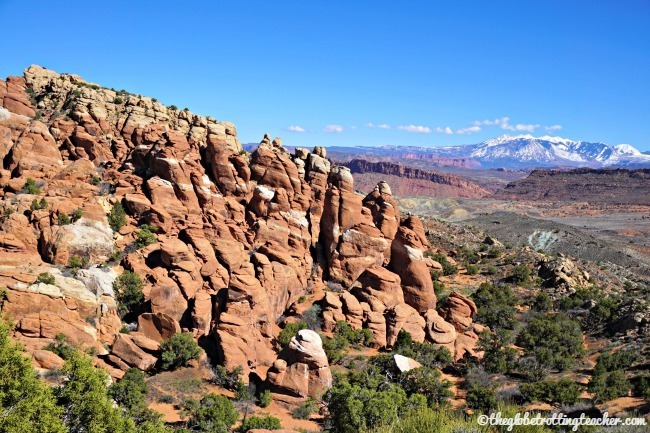 Fiery Furnace is the only hike in Arches National Park that requires a Park Ranger guide. The area is a closed-in series of maze-like sandstone canyons, which makes it very easy to get lost. It’s considered moderately strenuous because you’ll need to scramble and climb into tight places, as well as navigate along rocky ledges. The cost is $16 for adults and half as much for children (5+) and seniors. In order to make sure you can experience this hike, reserve your tickets several weeks to months in advance, especially during peak times! Fiery Furnace from the scenic overlook. If tickets are sold out or this hike isn’t for you, stop to admire Fiery Furnace from the scenic overlook point off the park’s main paved road. 3. Double O Arch is at the far north end of the park. The 4.2-mile round trip strenuous hike begins at Devils Garden. 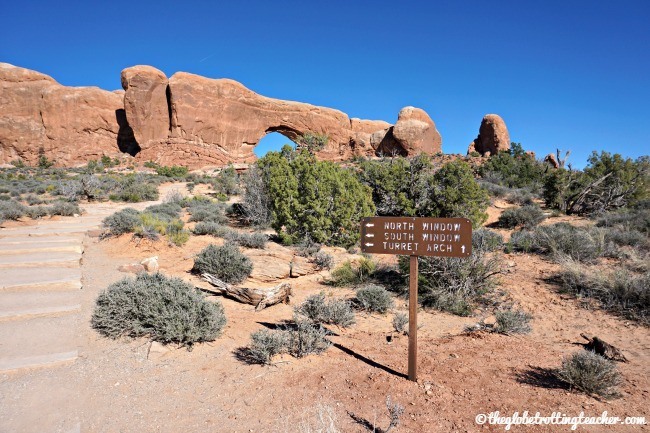 You’ll pass Landscape Arch along the way, which until that point, the trail is easy terrain. As you continue, you’ll have to climb and scramble up the sandstone, crossing rocky ledges, to reach Double O Arch. At sunrise and in the early morning hours, the sun’s light reflects off Double O Arch perfectly. 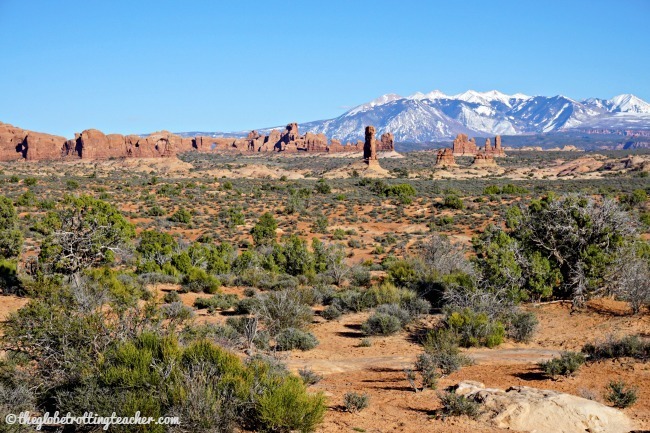 Visiting Arches National Park soon? We had a fantastic stay at the Holiday Inn Express in Moab. Use TripAdvisor or Booking.com to search and book more great hotels just minutes from the National Park. 30-60 Minutes- Choose 2-3 of the Hikes Below. 1. The Windows section of Arches is a must-see. Walk the easy uphill trail to see North and South Windows and Turret Arch. The walk is just 1-mile round trip. The sunlight is best in the late afternoon hours, making the Windows a solid choice for sunset. This is one of the most popular areas in the park so holding off to visit later in the day also lets some of the crowds subside. Access to the Windows is simple. 2. Park Avenue trail heads into an absolutely stunning canyon with an impressive wall of towering sandstone rock formations on either side of you. The trail is a 1-mile out and back round trip. The best light is in the afternoon but don’t go too late or else the light begins to make funny looking shadows along the wall of sandstone. 3. Landscape Arch is a 1.6-mile round trip gentle hike. The path is mostly gravel until it becomes all sand closer to the arch. Begin the hike at Devils Garden at the north end of the park. 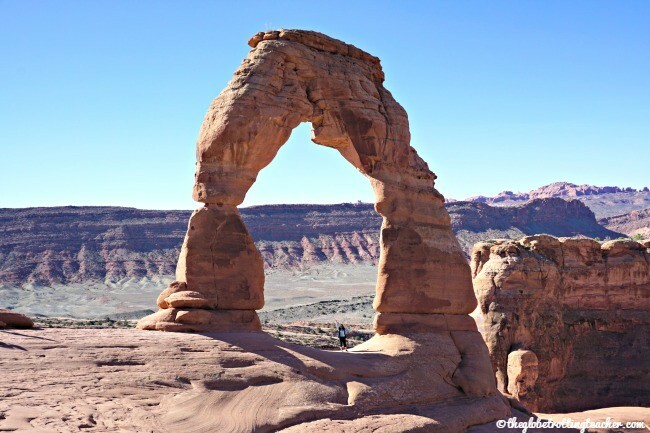 If you choose to also hike Double O Arch from above, you’ll pass Landscape Arch along the way and see both arches in the 2-3 hours as stated above. 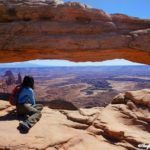 These views are trying to distract hikers from reaching Landscape arch! I’m sure of it! 4. 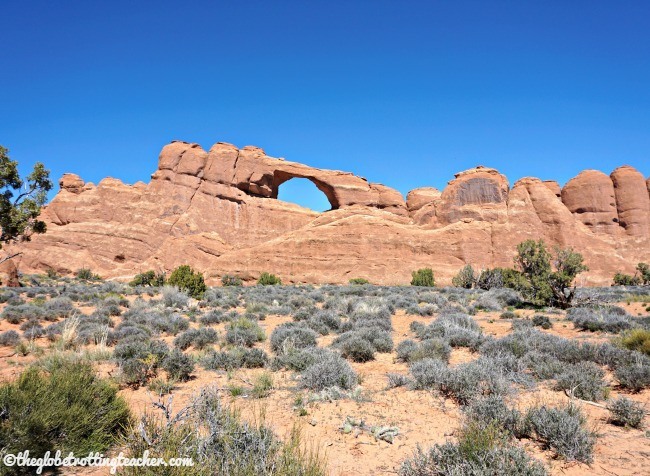 Broken Arch is a walk through a flat, open meadow with snow-capped mountains in the distance. There’s a longer round trip 2-mile loop, but the 1.3-mile out and back round trip will give perfect access to Broken Arch and a wide-open vista for taking photos. 15-30 minutes- Choose 3-4 of the Sights Below. 1. Balanced Rock is exactly how it sounds. A large rock that’s precariously and improbably perched on a narrow spire. There’s a .3 mile round trip path leading to the rock, but it’s also visible from the road and a strategically positioned viewpoint. Balanced Rock is close to the Windows section of the park so plan a brief stop along the way. TIP: In between Balanced Rock and the Windows section is Garden of Eden. Stop to take photos of the breath-taking orange sandstone formations. 2. Sand Dune Arch is perhaps overshadowed by the narrow and mysterious entryway to the arch. An easy walk from the parking area, Sand Dune Arch is aptly named as it sits in a sand-filled gap between larger rocks. Go for the ambiance! 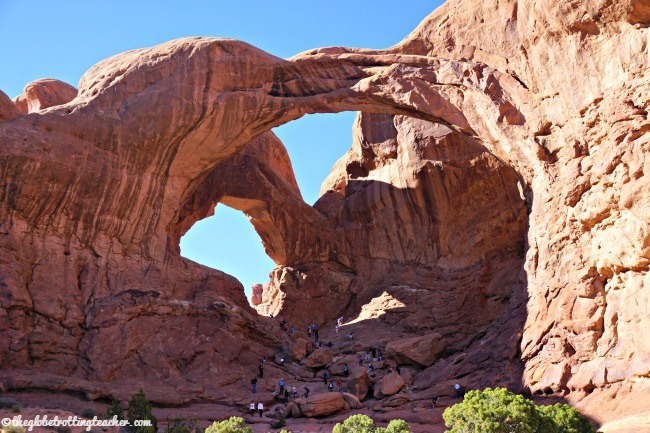 If you choose to walk to Broken Arch, pair these 2 arches together. The trailhead for both starts out the same before veering off to each arch. TIP: If you’re traveling with young children, take a break at Sand Dune Arch. It’s a perfect sandbox made by nature! Walking on the path to Skyline Arch. 3. Skyline Arch is a small pull-off from the main scenic road. The flat .4-mile round trip walk reveals a large arch formed in an instant when a giant piece fell out of the formation and created a perfect arch. 4. Double Arch is across from the Windows Arches and is just as it sounds, 2 arches connected at an end. It’s a popular climbing spot for visitors of all ages. Double Arch’s claim to fame is a starring role as the setting of a scene in an Indiana Jones movie! The afternoon may not be the best time to photograph Double Arch, but climbing is fun anytime! Arches National Park is in Utah’s high desert. Summer heat can be quite intense. The spring and fall are the best times to visit, with April, May, September, and October being the most comfortable months. 2. How should I prepare for hikes? The desert sun is strong and unrelenting. There are no widespread areas to take shade. No matter the time of year, protect any exposed skin with sunblock and wear a hat to prevent your head from burning. The park recommends drinking 1 gallon of water a day even when temperatures are cooler. Aside from the visitor’s center when you first enter the park and at Devil’s Garden in the northernmost section of the park, there’s no available water. Pack the water and food you’ll need to sustain yourself for the day. Remember to respect the park and leave it as you found it. A car (including its passengers) costs $25 per day. Pedestrians and cyclists are $10 each. 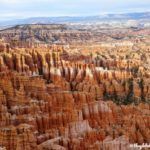 If you plan to visit more than 1 National Park (in Utah or any U.S. State) within a calendar year, consider the America Beautiful Pass or find out how to save money on entrance fees. The pass will pay for itself and oftentimes allow you access to a faster-moving entry lane at the most popular National Parks. 4. Is there map viewable online? Yes. You can view the Arches National Park map online. Arches National Park has campgrounds, which require a reservation between March 1st and October 31st. 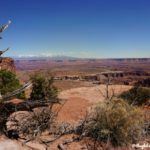 Moab, Utah is just a couple of miles away from Arches, providing direct and easy access to the park. 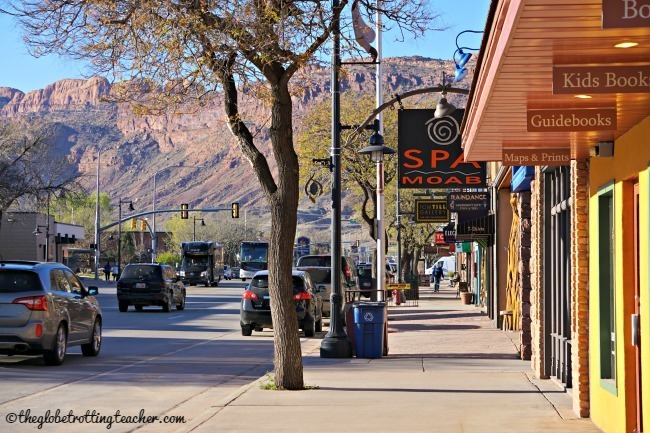 Moab is a full-service town, with hotels, food, gas, and touring activities available. Search and book great hotels in Moab on TripAdvisor or Booking.com. 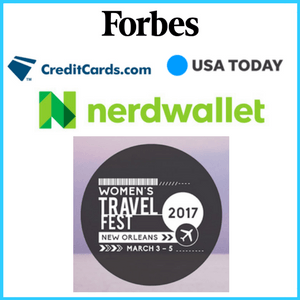 If you’d like to use miles and points to book your hotel, Marriot, IHG, Hilton, Best Western, Wyndham, and Choice all have properties in Moab. Use AwardMapper to research available loyalty program hotels. We had an excellent stay at IHG’s Holiday Inn Express. Moab has your food and beverage needs covered! Check out the Moab Menu Guide for a comprehensive listing of places to eat. We ate at 2 delicious Mexican restaurants on our visit, El Charro Loco Mexican Grill and Fiesta Mexicana Family Restaurant. Both were positive experiences! 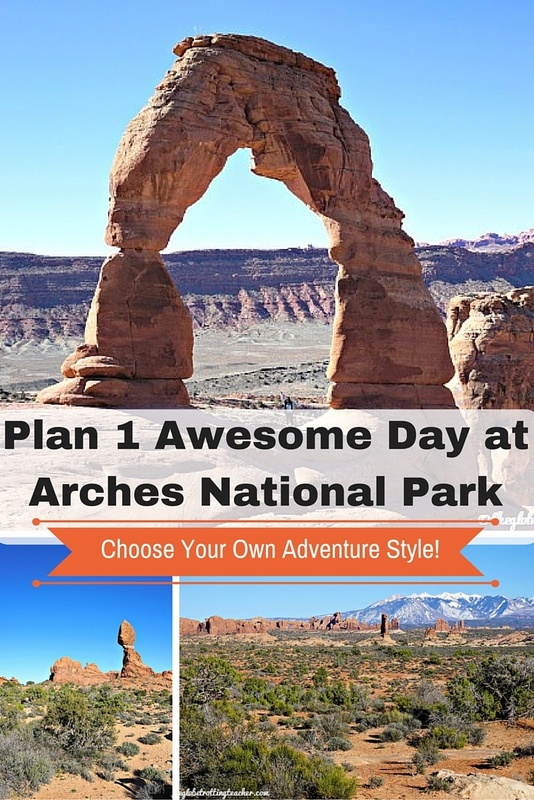 Are you ready for your Arches National Park adventure? How will you plan your day? It’s been a few years since I have been to Arches National Park. Thanks for the inspiration to return, your photos are gorgeous! Thanks so much, Liz. It’s a great day trip! Hope you can make it to Arches NP! We’ve been living in Europe for the past 5 years, so it is often easy to forget what beauties the US holds for us travel junkies! We plan on moving back soon and hope to get an RV to see more of the US and especially the national parks. I’ll have to put this on my “places to consider” when we start planning that adventure! We love hiking and nature, so this would be a perfect fit. Thanks, LeAnna. 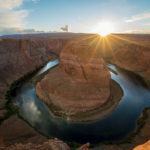 There’s a popular loop that includes all 5 of the Utah National Parks, Monument Valley, and the Grand Canyon. It would be a great way to explore this part of the U.S. There is just an endless amount of natural beauty. Good luck planning your trip! How timely this post is! I have been in Moab the past week focused on Canyonlands. Next week my hubby and I are doing Arches. Since he is a photographer he does all the planning around what he wants to take pictures on and I just go with the flow (we reverse when we are visiting someplace of interest to me). Your post was awesome as it lets me know what I am going to be seeing next week, I’ve got a little heads up and I can make sure I am not missing anything! Thanks! I have been wanting to visit this are so badly. It looks like a photographers dream! Love all the colors in the rocks 🙂 Our entire family loves to hike, and it looks like such a fun area to explore. What an amazing National Park. If for anything, I love visiting the USA and its National Parks. I’ve visited a few already and always have them in my mind for a future trip. This is a very useful guide with some great ideas to experience the park. Thanks so much, Hugo! 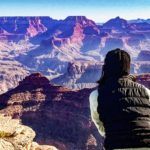 There are so many fantastic National Parks in the U.S. You could plan a really epic road trip to see a lot of them! Hope you can make it out to Arches NP and all the spectacular Utah National Parks. I’ve visited The Arches National Park some 15 years ago, but I have no recollection about Moab. It looks really cute. I love your pictures! Thanks so much, Anda. Hmmm, makes me wonder how much the town has changed and grown since you visited. 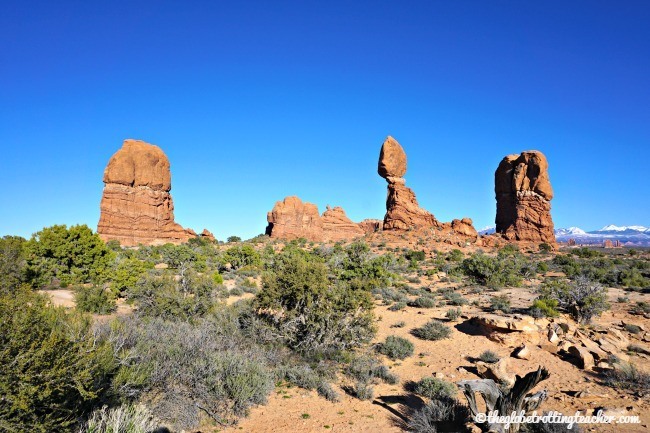 Perhaps, the growing popularity in Arches NP made the town develop more over the past 15 years. This is definitely in my road trip stop lists for when I visit home. Bookmarking this because I have zero idea about this! All I know is that I can’t wait to explore it and take awesome photos everywhere! What a great way to make use of your time home, Erica! Get out there and see some of the natural landscape. 🙂 Glad the post will be helpful for you. I am not one for hiking especially in the heat so we did the sightseeing tour. But we didn’t see the Double Arch! What a bummer! Thanks, Fiona. 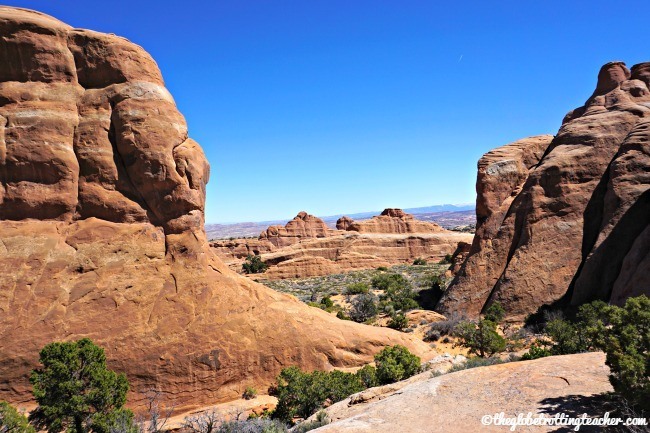 Arches is one of the gorgeous “Big 5” National Parks in Utah. If you ever visit out west, be sure to check out the parks! Thanks so much, Rob. It would be fun to return to see the park again and see what’s changed! Great tips and photos! 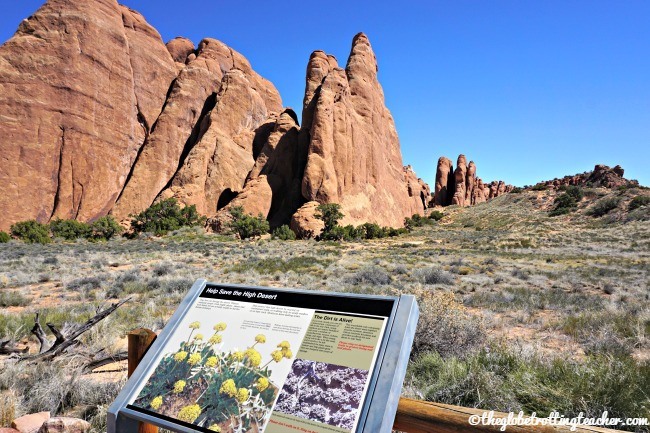 Arches is such a beautiful park–we visited last summer and loved it! We hiked to Delicate Arch in the afternoon because it was the only time we could, and it was definitely crowded–would have been nice to see it in the morning without crowds like you did! We still had a great time though and really loved Double Arch as well. Such a gorgeous area! I really need to head over to Utah and explore some of their national parks. Maybe that’s a goal for the fall. Love how you break it down and the tip on the parks pass. Thanks for sharing. You really should, Megan. We were actually planning on the fall as well until our plans changed. It would be a great time to visit for more moderate temps and fewer crowds. Thank you for the thorough guide. My husband and I are planning to visit Arches National Park within the next couple of years, so this information is very helpful. I need to go to Arches again! Your insights are great. I didn’t hike much but saw some of the highlights. Your photos are beautiful. I’ve always wanted to visit Moab too. Great post!! Hi, I planning to reach the delicate point by 6.15 am to see the sunrise . Will it be safe to undertake Trail in this route in dark conditions ? I am seeing lot of bear warnings in the NPS website. Ppl who have undertaken such early morning Trail kindly advice. Thank you. Raj, be sure to check the specific Arches NPS page for park specific, timely warnings about animals or other dangerous conditions. Wait for enough light to see or bring a flashlight and plenty of water with you into the park. Good luck! The Fiery Furnace hike does offer ranger led hikes for a fee and a reservation, but you can also do a self-led hike with a permit, smaller fee and a good sense of direction. For me, self-led is way more fun, since you can explore much more at your own pace. This is such an amazing guide! Thank you! My family is hitting up some national parks this summer, and seeing as how this stop will be 3/4 of the way through our trip, I’m worried my kids will be “hiked out”. Ha! We would like to plan on seeing as much as we can (with great photo opportunities) from the drive through the park. If there was one hike/stop that we couldn’t get a great view of from the stops along the drive through the park, what would it be? I’m thinking the must-see places are balanced rock, delicate arch, windows and fiery furnace. It’s hard to tell if the great photos I come across were captured on actual hikes or stops alon the drive with short walks from the car. Thank you so much!